Bahrain-based Gulf Air has placed an order for 29 Airbus A320neo-family aircraft, restructuring and enlarging an order for 10 A320neos it placed in 2012. Gulf Air’s new order, which forms a major part of its fleet-renewal strategy, includes 17 A321neos and two additional A320neos as well reconfirming the 10 A320neos the carrier ordered in 2012. The contract was signed on January 21 at the Bahrain International Airshow by Maher Salman Al Musallam, chief executive officer of Gulf Air; and Fabrice Brégier, Airbus president and chief executive officer. Gulf Air currently operates an all-Airbus fleet of 28 aircraft: 16 A320s, six A321s and six A330-200s. 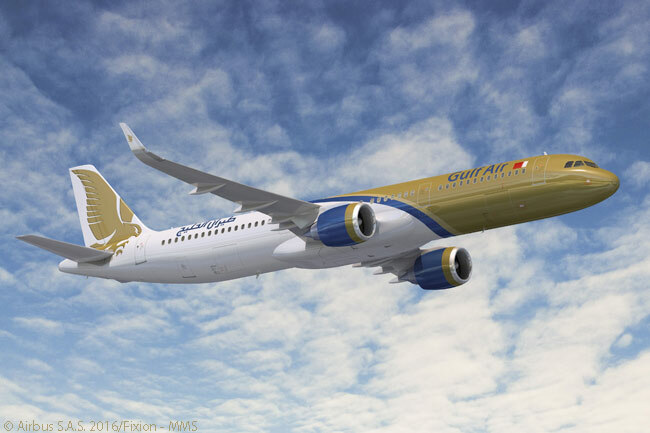 However, in addition to the 29 A320neo-family aircraft it has on order, Gulf Air also has contracted for 16 Boeing 787-9s (an order Gulf Air has newly changed after originally specifying all 16 aircraft as 787-8s) and 10 Bombardier CS100s. 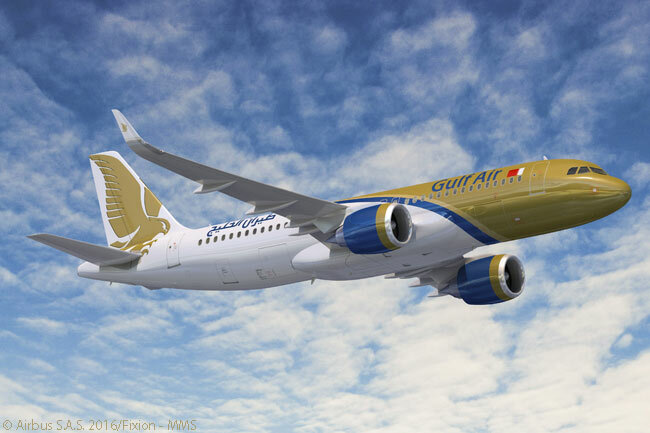 According to AINonline.com, Gulf Air is still in negotiations with Bombardier over finalizing the CS100 order. Since its launched the A320neo program in December 2010, Airbus has received firm orders for nearly 4,500 A320neo-family jets, from 80 customers.